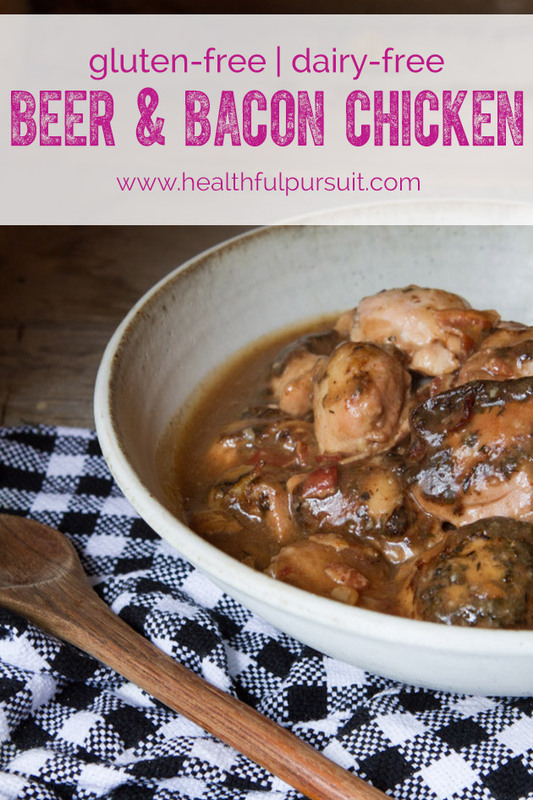 Delightfully tender chicken in a smoky bacon and beer sauce. Delicious served with my Healthier Mashed Potatoes recipe. 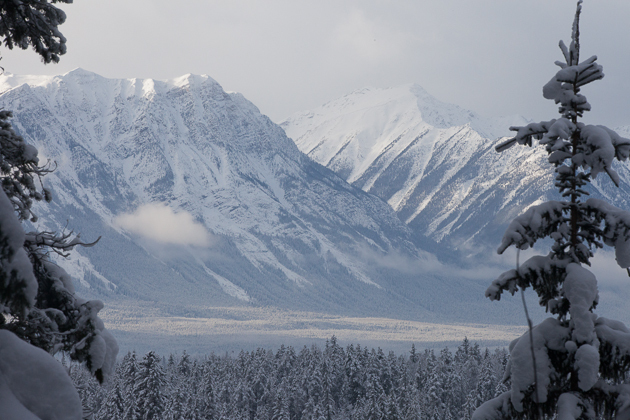 In 2008, Kevin and I rented a cabin in Golden BC to celebrate our first Easter together. Since then, Golden has become our home away from home — our safe place. Long weekend, celebration, vacation or outing, Golden is it for us. When we moved to Montreal last year, it was heartbreaking to say goodbye. But Montreal didn’t go as planned so we made our way home to Alberta just 10 months later. And decided to celebrate our first Christmas + New Year back home, in Golden. 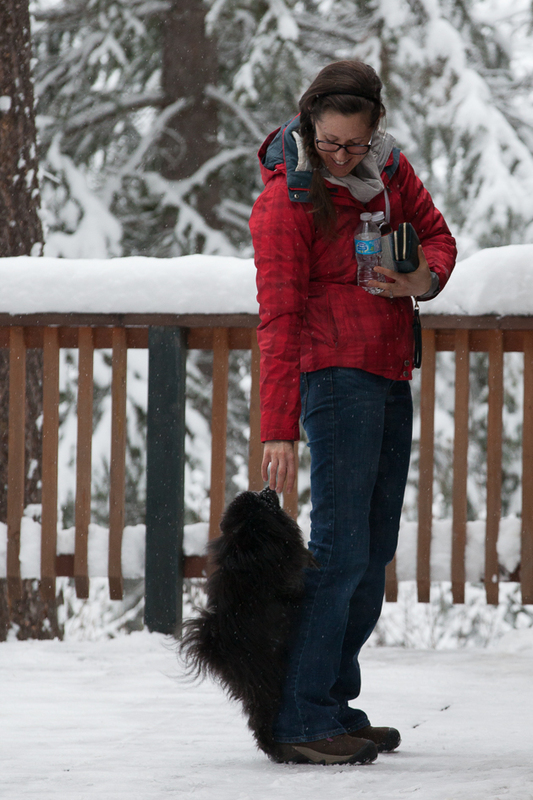 We went snowshoeing (for the first time!! ), slept in passed noon, spent some time in the ditch, AND made awesome food. I brought my new Slow Cooker with me. You know, the one I used for this Crock Pot Blueberry Maple Cake. Still blows my mind that you can make a cake… in a Crock Pot. And also? 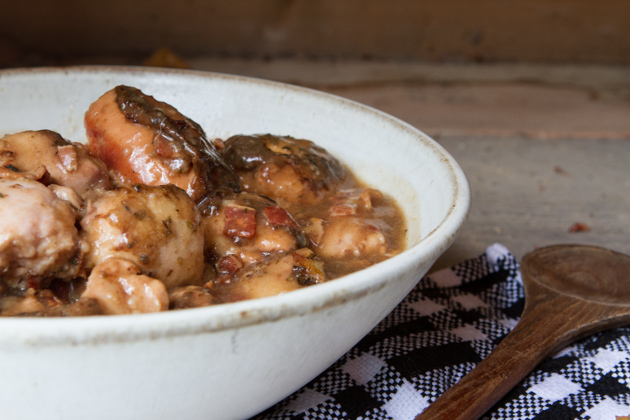 The best dang smoky gravy you’ve ever tasted. Yeh, this took me like, 10 minutes to put together? Place flour in a large bowl and add chicken thighs to it, toss around, until all pieces are coated. 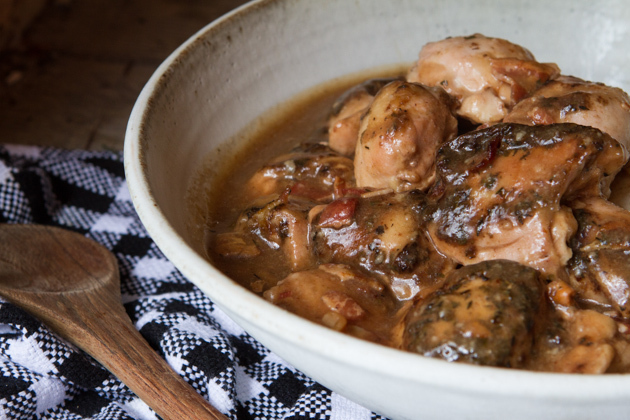 Lay the thighs in the bottom of your slow cooker. 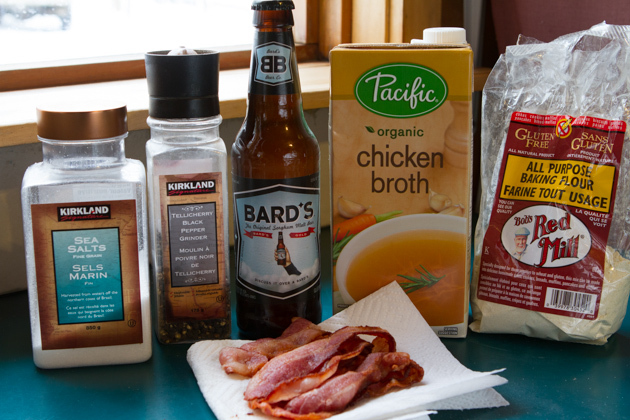 Combine bacon pieces, beer, broth, barbecue sauce and spices in a medium-sized bowl. Stir to mix. Then, pour over the chicken in the slow cooker. Cover with the lid and cook on Low for 8 to 9 hours or High for 4 to 4-1/2 hours. Once complete, combine water and starch in a small bowl. Set aside. 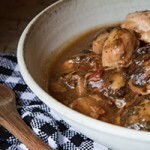 Remove chicken with a slotted spoon and place in a bowl. Cover with foil to keep warm. Stir starch mixture in with leftover chicken liquids. Whisk until combined. Cover and cook, on Low, for 15 minutes. Drizzle the gravy over the chicken and serve. I decided to use pork bacon. Partly because we were on vacation and I wanted to, and also because:: I’m in LOVE with pork right now. If you don’t do beer, I bet making this with stevia gingerale would be pretty good, too. Whether you’re spending the weekend at home, with friends, or out and about, I know that you have 10 minutes to spare to make this! 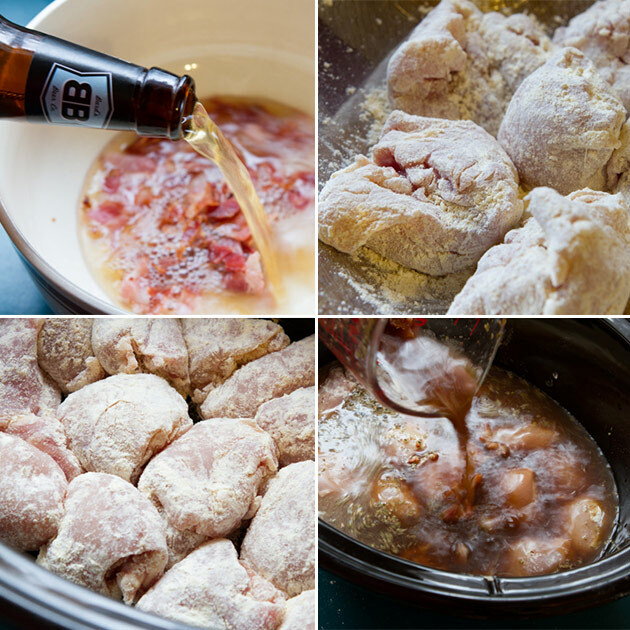 Aaaand if you don’t have a Slow Cooker? You could try combining everything in a casserole dish and throwing it in the oven. Where do you feel most at home or at peace?